Most people snore from time-to-time. In some cases it is nothing more than a nuisance to you and your partner. Every so often chronic snoring might be an indicator of something more serious and medical help should be sought out. 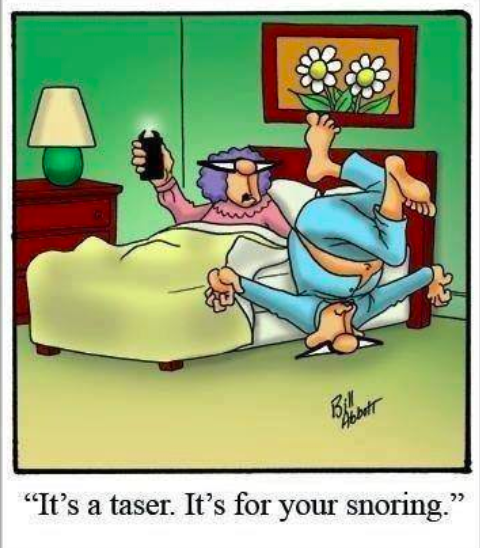 There are internal (out of your control) and external (within your influence) factors that can contribute to snoring. Mouth Construction: Having a low, thick soft palate can narrow your airway. People who are overweight may have extra tissues in the back of their throats that may narrow their airways. Likewise, if the triangular piece of tissue hanging from the soft palate (uvula) is elongated, airflow can be obstructed and vibration increased. Blocked Nasal: Chronic nasal congestion or a crooked partition between your nostrils (deviated nasal septum) may contribute to your snoring. Clogged Hose: Some people may have a long soft palate, or large tonsils or adenoids, which can narrow the airway and cause snoring. In the Genes: Yes, unfortunately your chemical makeup is handed down and your heredity can play a role in your snoring. Alcohol: Snoring can also be brought on by consuming too much alcohol before bedtime. Alcohol relaxes throat muscles and decreases your natural defenses against airway obstruction. Positioning: Snoring is typically most frequent and loudest when sleeping on the back as gravity's effect on the throat narrows the airway. Your Mass: Carrying excess weight significantly elevates your chances of snoring. Late Night Meals: Late-night eating promotes snoring because the process of digestion also relaxes the throat and tongue muscles. Smoke: Cigars, cigarettes or pipe tobacco cause inflammation along the tissues (or mucosa) that line your airway. This leads to swelling, causing a buildup of mucus often called post-nasal drip, and narrowing of the airway. As the airway narrows you struggle for your breath and snoring can occur. If ever you (or your partner) feel like your snoring is something deeper than any external factor you should get checked for any apnea, but rest assured that in most cases you can affect your external factors to help your cause.